SJS is most identifiable with inflammation of the eye, corneal blisters, eye problems and vision loss, severe rash, mucus-filled blisters or lesions on the skin, fever, and flu-like symptoms. Often the disease begins as an upper-respiratory infection, which is followed by outbreaks of blisters and lesions that last from 2-4 weeks. As it develops, skin can literally peel off in sheets. In extreme cases the infection may spread to other internal organs and cause inflammation of the liver, kidneys, heart, and lungs. Once SJS has been diagnosed, all medications taken prior to infection must be suspended. Antibiotics and topical corticosteroids may be given to patients to stop inflammation and the spread of infection to other areas of the body. Doctors may also administer intravenous immunoglobulins. Skin grafting may be another treatment for patients suffering large scale skin infection, as well as treatment in a hospital burn unit. SJS is extremely life-threatening and left untreated, can result in death. Though Stevens – Johnson syndrome is rare, individuals who had been diagnosed with the disease have reached successful verdicts in courts against pharmaceutical companies. In 2010, Karen Bartlett of New Hampshire was awarded $21 Million after filing suit against Mutual Pharmaceutical Co. for their failure to warn against the side effects of the drugs Clinoril and Sulindac. Bartlett had suffered debilitating complications after she was given Clinoril, an anti-inflammatory medication marketed as the drug, Sulindac. If you have been diagnosed with Drug-Induced SJS, call one of our experienced Boston Drug Injury lawyers for a free consultation to discuss your rights. 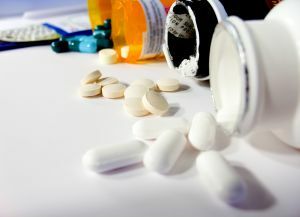 You may be eligible in a case against the drug manufacturer and compensation for your injuries. At Altman & Altman, we have nearly 50 years of experience, and our lawyers are always available to answer any of your questions any questions you have about your case.